PASADENA, Calif. -- New analysis of Mars' terrain using NASA spacecraft observations reveals what appears to be by far the largest impact crater ever found in the solar system. 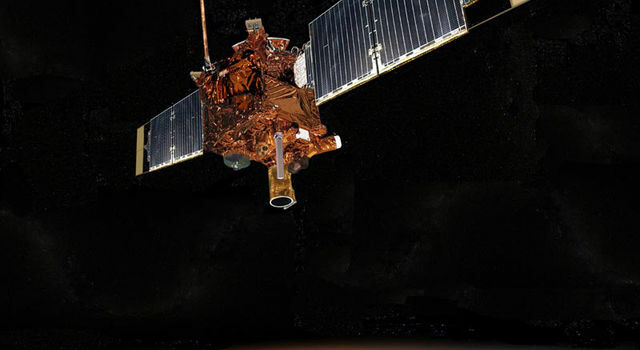 NASA's Mars Reconnaissance Orbiter and Mars Global Surveyor have provided detailed information about the elevations and gravity of the Red Planet's northern and southern hemispheres. A new study using this information may solve one of the biggest remaining mysteries in the solar system: Why does Mars have two strikingly different kinds of terrain in its northern and southern hemispheres? The huge crater is creating intense scientific interest. Andrews-Hanna and co-authors Maria Zuber of the Massachusetts Institute of Technology, and Bruce Banerdt of NASA's Jet Propulsion Laboratory in Pasadena, Calif., report the new findings in the journal Nature this week. 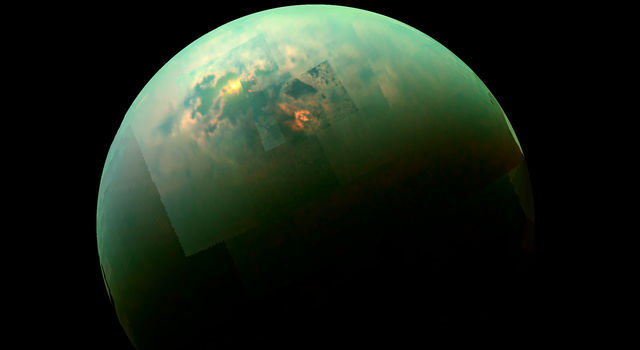 A giant northern basin that covers about 40 percent of Mars' surface, sometimes called the Borealis basin, is the remains of a colossal impact early in the solar system's formation, the new analysis suggests. 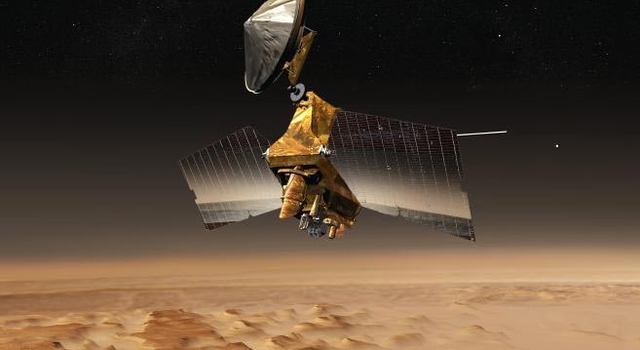 At 8,500 kilometers (5,300 miles) across, it is about four times wider than the next-biggest impact basin known, the Hellas basin on southern Mars. An accompanying report calculates that the impacting object that produced the Borealis basin must have been about 2,000 kiolometers (1,200 miles) across. That's larger than Pluto. "This is an impressive result that has implications not only for the evolution of early Mars, but also for early Earth's formation," said Michael Meyer, the Mars chief scientist at NASA Headquarters in Washington. This northern-hemisphere basin on Mars is one of the smoothest surfaces found in the solar system. The southern hemisphere is high, rough, heavily cratered terrain, which ranges from 4 to 8 kilometers (2.5 to 5 miles) higher in elevation than the basin floor. Other giant impact basins have been discovered that are elliptical rather than circular. 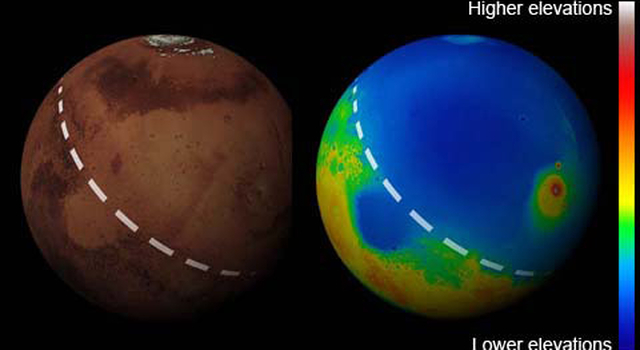 But it took a complex analysis of the Martian surface from NASA's two Mars orbiters to reveal the clear elliptical shape of Borealis basin, which is consistent with being an impact crater. One complicating factor in revealing the elliptical shape of the basin was that after the time of the impact, which must have been at least 3.9 billion years ago, giant volcanoes formed along one part of the basin rim and created a huge region of high, rough terrain that obscures the basin's outlines. It took a combination of gravity data, which tend to reveal underlying structure, with data on current surface elevations to reconstruct a map of Mars elevations as they existed before the volcanoes erupted. "In addition to the elliptical boundary of the basin, there are signs of a possible second, outer ring -- a typical characteristic of large impact basins," Banerdt said. 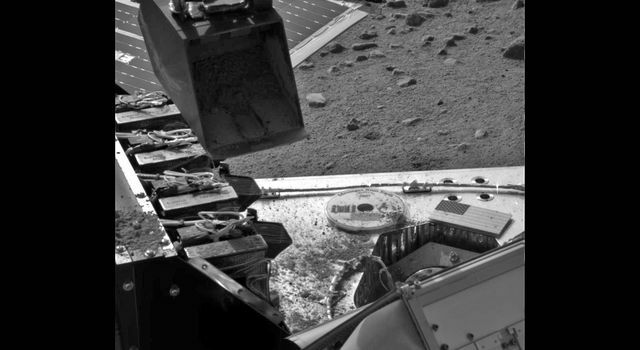 JPL manages the Mars Reconnaissance Orbiter for NASA's Science Mission Directorate, Washington. 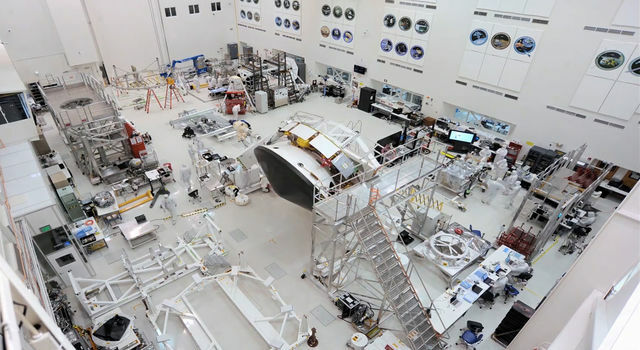 For more information about the mission, visit: http://www.nasa.gov/mro.